Brothers of Saint John of God | "We must engage with our past and our future"
Bishops across the country have begun issuing their Christmas messages and a number of these so far have addressed next year’s momentous centenary of the 1916 Rising. In his message, the Bishop of Kildare & Leighlin, Dr Denis Nulty referred both to the commemorations of 1916 and the general election in the early months of the coming year. “I think it is so important that all of us engage in the remembering of our past, and equally engage in the shaping of our future,” the Bishop said. Elsewhere in his message, Bishop Nulty said he was conscious of people in the Church and the diocese, who on Christmas Day will feel very alone. “I want to assure you, you are not alone,” Dr Nulty reassured and said that like Mary, when the angel left her, God’s presence remained with her for the rest of her life and remained with them. In his message, Bishop Donal McKeown of Derry said 2016 is a year when we will remember crucial events from 100 years ago. The challenge is to learn from the past and not to abuse it, to honour the memory of people and not to dishonour them for our purposes, he warned. “If we plunder their memory for selfish ends, we demean the best in ourselves. Only the truth will set us free,” the Bishop of Derry underlined. He added that the Christmas story is not just a nice tale about distant events, a story that the child in each of us still loves. He concluded by saying that in the Year of Mercy, we will try to tell the Christ Child’s story about the past that speaks of forgiveness and reconciliation, hope and healing. “I still believe that these are tidings of great joy for all the world in 2016,” he said. In his message, Bishop Kevin Doran of Elphin stated that “There seems to be no reason why faith in God should be in any way at odds with a modern democratic republic” and he emphasised that good Christians will always be good citizens. 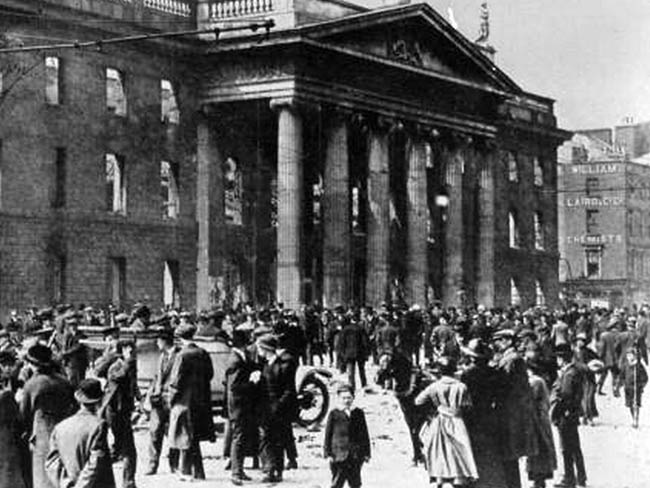 Referring to the centenary of the Easter Rising in 2016, the Bishop said it is only honest at this distance to acknowledge that many people including Church leaders distanced themselves from the Rising. He noted that the Proclamation begins “In the name of God” and ends by invoking the blessing of God. The poetry of both Pearse and Plunkett is deeply religious. At this Christmas time, the words of ‘Christ’s Coming’ by Padraig Pearse have a particular resonance, he suggested. Noting that the coming centenary year coincides with the Church’s Jubilee of Mercy, Dr Doran said the Door of Mercy is a symbol of welcome and of homecoming for Catholics. He said the idea that a republic would acknowledge God does not mean, of course, that Catholicism or even Christianity should take precedence over other faiths or sincerely held beliefs. In 2016, as we celebrate the centenary, we may need to reflect more carefully on what it means to ‘cherish all the children of the nation equally’. Referring to the classic image of Christmas, that of the Holy Family going from door to door in Bethlehem, looking for a place to stay, he said that looking back over recent weeks and months, this is an image that challenges us all this Christmas.